Road accidents have become common at Pallippuram owing to the dearth of proper lighting and paucity of signal boards. THIRUVANANTHAPURAM: The city is becoming notorious for its road accidents. The Pallippuram road, which covers a stretch of 3 km has become one of the most dangerous spots in the city. In 2018 alone, at least 19 cases have been reported in the stretch. “The death of Balabhaskar and his family was the most recent tragedy. However, this is a regular scenario here,” said Divya Vijayan, a local resident, Pallippuram. 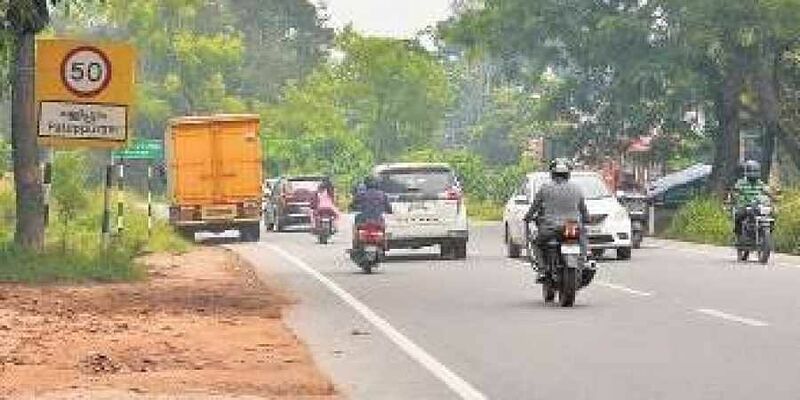 According to panchayat officials, road accidents have become common at Pallippuram owing to dearth of proper lighting and paucity of signal boards. “There is not even a single light in the 1 km stretch. There are also insufficient signboards which indicate that the road is accident-prone,” said Vijayakumar, panchayat member, Pallippuram. Though signboards caution drivers to follow a 50 km speed limit at the stretch, most don’t heed the warning. “The signboard has always been there, but drivers throw caution to the wind, “ said Meera J, a local resident.Police officials blame the substandard road manufacturing quality for the cause of the accidents. “The structure which begins from Vettu road to Korani road is faulty. Both the road sides have a slanting formation, so when the vehicle loses control, it directly tumbles to the side,” said R S Hari, ASI, Mangalapuram Police Station, Pallippuram. He suggests implementing reflectors and high mast lights which could reduce the number of deaths. As per the State Crime Records Bureau 2018 road accident report, 20,700 accident cases have been reported till June 30. Injuries caused by road accidents, both grievous and minor sum up to 23,519 and death counts to 2,249. In the city limit alone, 1,831 cases have been reported from January to September 2018, 401 minor injuries, 2189 grievous injuries and 134 deaths. In the rural area, road accident cases total 2495, 335 minor injuries, 2809 grievous injuries and 251 deaths. In Pallippuram, 19 road accident deaths have been reported within January to September 2018 including Balabhaskar and his child. Local residents strongly suggest officials consider the sloping sides of the road to avoid accidents in the future. “There are few trees here and there which halt drivers from tumbling on to the slanted sides but constructing side walls should be considered to avoid more deaths in the long run,” said Aravind Rajan, a local resident.